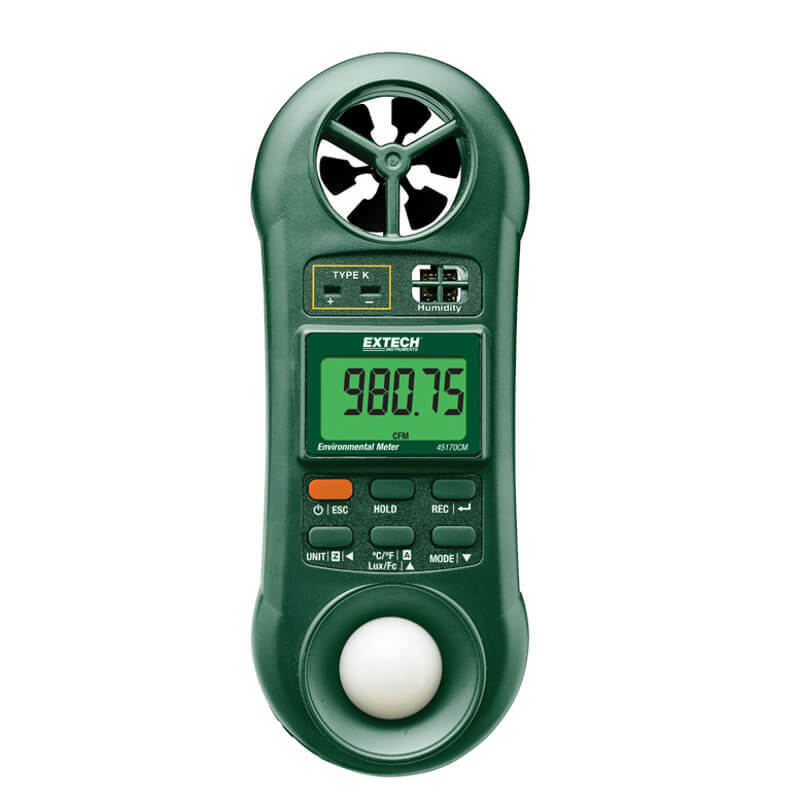 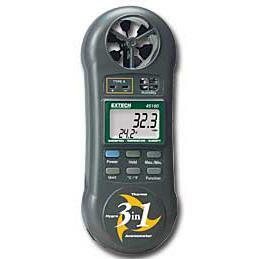 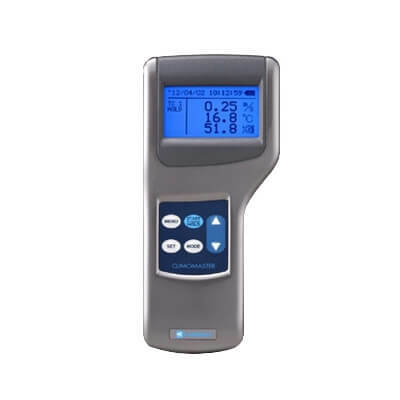 Extech 45160 3-in-1 Humidity Temperature and Airflow Meter features: Ergonomic pocket size housing, large dual LCD; Simultaneously displays Temperature and Air Velocity or Relative Humidity; Type K input socket for high temperature measurements to 2372?? 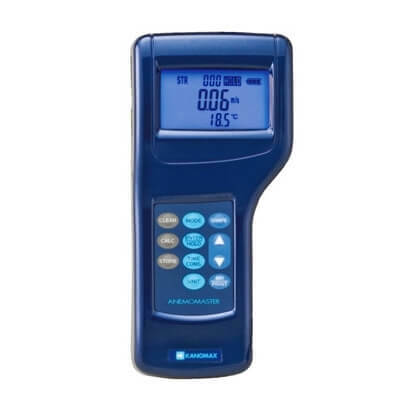 F (1300?? 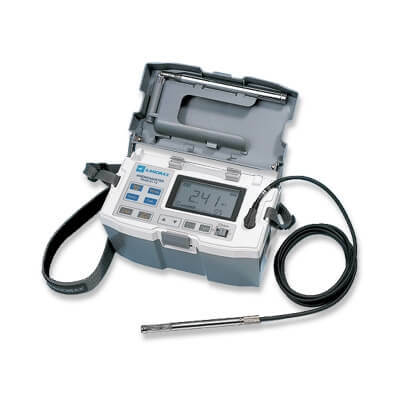 C) using optional (TP870) Type K thermocouple; Min/Max, Data hold, etc.